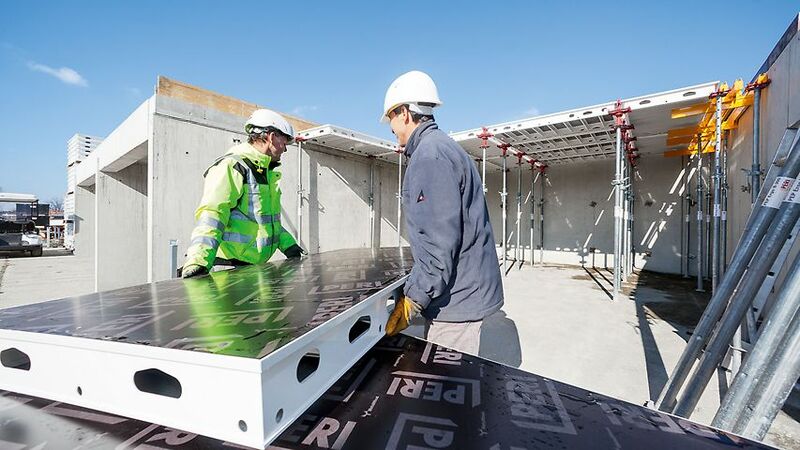 The SKYMAX modular principle offers the customer cost-effective and technical flexibility when forming slabs while simultaneously ensuring maximum safety in the system. SKYMAX provides the user with a huge range of applications and allows a high degree of system component compatibility. Numerous components are available in both polymer as well as aluminium versions. As a result, they have material-specific advantages but can be combined with each other along with components of the other material in each case. 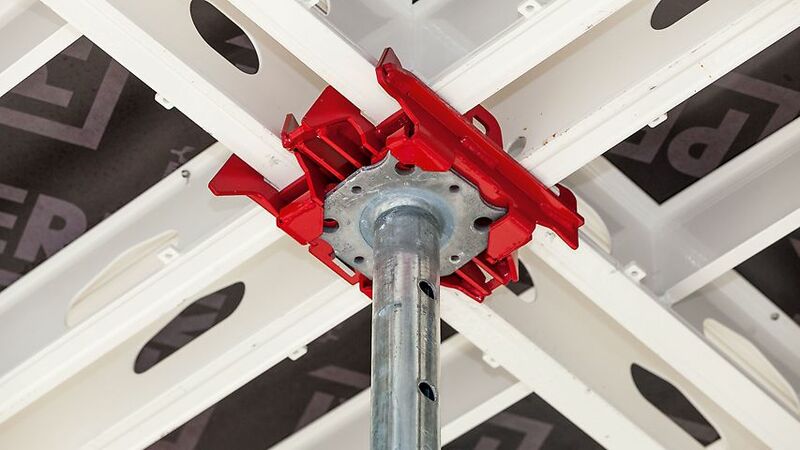 In addition, system components of the SKYMAX modular principle are future- proof with shuttering and striking from below. SKYMAX thereby provides a high level of safety at every stage of the construction process and can be directly accessed after installating the guardrail unit. 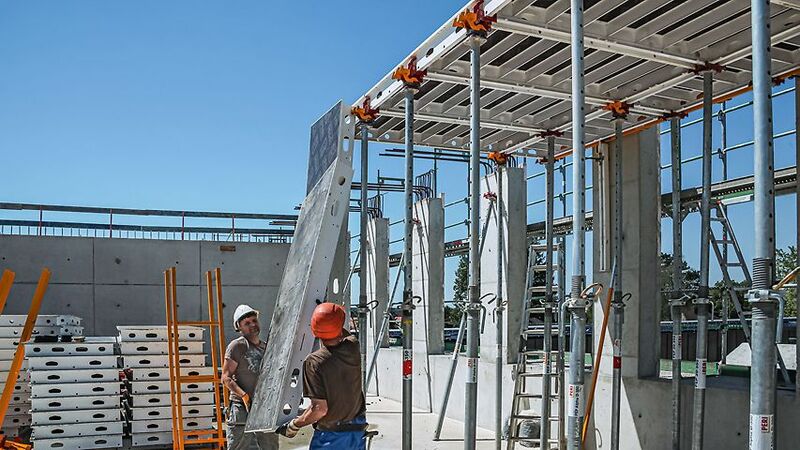 Slab heights up to 3.80 m can be realised with the help of the Shuttering Aid and, with the use of the Stripping cart, even slabs up to 6.00 m high can be formed. In the aluminium as well as polymer version, the panels are available in the sizes 200 x 100 cm and 200 x 66.5 cm.